NASA has issued an alert that a “potentially hazardous asteroid” is on a “close approach” toward Earth. However, it’s nothing to be alarmed at, as the asteroid is expected to zoom past the planet approximately 3 million miles away. The enormous space rock, known as asteroid 2016 NF23 and estimated to be between 230 and 525 feet in diameter, will zip past Earth on Aug. 29 at a velocity of 9.04 kilometers per second, or approximately 20,000 miles per hour. A large asteroid known as 2016 NF23 and estimated to be between 230 and 525 feet in diameter, will zip past Earth on Aug. 29 at a velocity of 9.04 kilometers per second, or approximately 20,000 miles per hour. This large asteroid is the third largest near-Earth object (NEO), behind two other asteroids which will fly past Earth in the early part of September: 2001 RQ17 and 2015 FP118. At 230 feet, it would be slightly smaller than a Boeing 747. At the high-end of the estimate, 525 feet, it would be taller than the Great Pyramid of Giza, which is approximately 455 feet high. 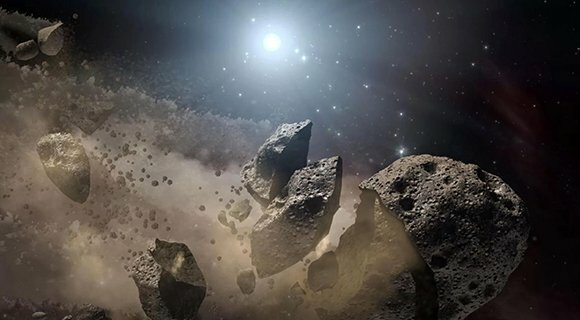 Near-Earth objects regularly fly by the planet, though “potentially hazardous objects” are ones that are less than 0.05 au (astronomical units) away from the planet, or approximately 5 million miles. 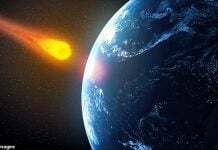 Any asteroid that comes within 4.6 million miles of Earth with a diameter greater than 500 feet is termed “potentially hazardous,” according to NASA. Asteroid 2016 NF23 also has an absolute magnitude of 22.9, above the 22.0 threshold to be classified as a potentially hazardous object. 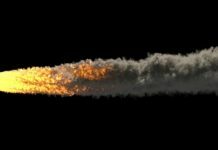 In April, an asteroid the size of a football field – 2018 GE3 – came just 119,500 miles away from Earth’s atmosphere, about half the distance between Earth and the Moon. In June, NASA laid out an updated plan to protect Earth and predict the chances for a threat from a near-Earth object (NEO), outlining five goals, including enhanced detection and improved modeling. In addition to enhancing NEO detection, tracking and characterizing capabilities and improving modeling prediction, the plan also aims to develop technologies for deflecting NEOs, increasing international cooperation and establishing new NEO impact emergency procedures and action protocols. NASA notes there are over 18,300 recorded NEOs and just over 8,000 of them are over 100 meters or larger. Big Iron stone … so bright. 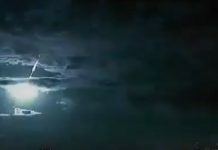 Galactic Federation of Light warns people if people cannot change the attitude from aggression and greed to harmony and peace, all sorts of tragedies including asteroid collision are attracted to the low vibration of the Earth. GFL explains this as “Law of Attraction”. High vibration (high frequency) can bring happiness and peace, and low vibration (low frequency) can bring all sorts of misery. Ridiculous. An approach at three million miles — and we’re supposed to quake and tremble? No wonder the fake news media has its foul reputation. The media EARNED the contempt we feel for it.